Understand The Different Types of Plywood for Your Furniture - Never Be Cheated Again! Take a minute and think about one of the most important aspects of your interior designing project. Is it the way the furniture is placed, is it the kind of paint being used or is it the woodwork? Although all of them contribute to the appearance and quality of your home, you have to admit it - woodwork matters the most. After all, those fancy TV cabinets, that sleek modular kitchen, the perfectly crafted sofa, bed, wardrobe and the works... are all made up of wood - specifically, plywood. But do you understand the different types of plywood? Also, you may have heard of the contractors and designers talking about the variable cost of these plywoods. why is that so? And, most importantly, do you know what sort of plywood will be suited for what purpose? To get clear, simple answers to all these questions, read further! OR you can jump to the quick visual guide below. This type of Plywood is made typically from wood obtained from Teakwood, Gurjan or Birchwood. They are often also marked at 100% hardwood and are expensive. So if you are looking for something that is 100% original and have no budget constraints, this is the kind of plywood that you would want to get for your interiors. When it comes to India, Gurjan wood is mostly used. It is also perceived to be one of the best options, when it comes to high quality ply. 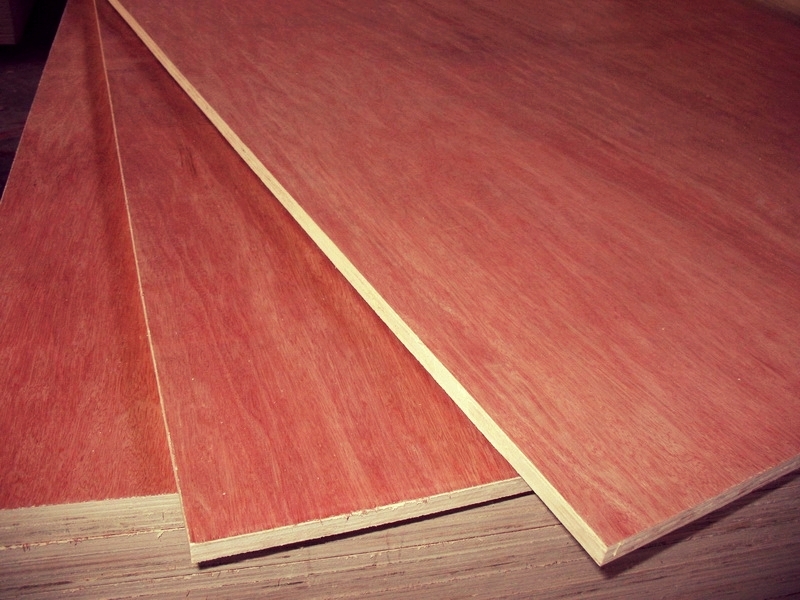 Hardwood ply is typically characterised by naturally reddish tinged wood. Also, the ply's fantastic strength, stiffness and high impact resistance makes it the number one choice for heavy-duty floor and wall structures. If you want a ply that is cheaper than the cost of Hardwood, go for Softwood ply. Typically, these kind of plys come from Spruce-Pine-Fir (SPF) or mango wood. Softwood ply is a cheaper option when compared to Hardwood ply. But you must remember that it isn't as strong as hardwood ply. You can identify a softwood ply by its slightly yellowish looking appearance. If you are looking for a ply ranging between that of hardwood and softwood, Poplar ply will be the best option for you. Also referred to as 'Soft Hardwood', this type of ply is moisture resistant and has great bending strength and durability. It is called soft hardwood as its 'hardness' is the least among hardwood plys. Poplar ply is the best fit for humid areas owing to its immense moisture resistance. Furthermore, the ply is light in weight and thus is the perfect choice for building high structural interiors. You might be wondering at the peculiar name of this plywood but there's a reason to it. The Alternate Core plywood is actually a mixture of yellow and red tinged woods. Owing to this, the plywood has alternate cores of yellow and red wood in cross section. Hence this ply is named as 'Alternate Core'. Usually, the manufacturers opt for this ply to get a well balanced plywood which is more durable than softwood plys and costs less than the pure hardwood ones. Thus, if you want the durability of a hardwood ply but aren't willing to spend a lot of money on plywood, this is an option you can consider. These types of plywood will be the perfect fit for most household furniture. Following are the types of Plywood that are commonly used. These are the main terminologies used by carpenters, designers and contractors. Read below to know about them in detail. 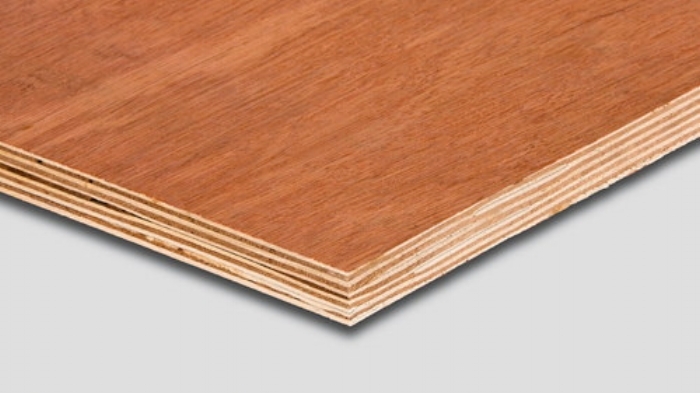 In simpler terms, this type of ply is called standard plywood. Also called as MR grade plywood, the commercial ply is known to withstand moisture. However, you must not assume the ply to be waterproof as it can stand moisture upto a certain limit. Therefore, we would advice you to be careful that you do not expose the ply to water. Often a combination of hardwood and softwood ply, the commercial ply is mainly used for most of your interior design work. TV units, Cabinets, Wardrobes, Sofas/chairs, etc. are all made up of commercial ply. This type of ply is widely used since it is relatively cheaper, and durable as well. However, if you opt for a branded commercial ply, it would cost around Rs. 80/- for 19mm. Branded ones are more expensive than normal commercial plys. Boiling Water Resistance and Boiling Water Proof are mainly a type of hardwood ply. Owing to its durability and moisture resistant nature, these type of plywood are expensive. But it is also the best choice for the bathroom, the kitchen and areas where you know you cannot prevent water from seeping in. A one-time investment in something of good quality is always a better option than spending periodically on modifications and repair. Thus for water-prone areas, opt for BWR or BWP ply. Do remember that the average costs given are for standard plys only. If you opt for a branded BWR/BWP ply, it may be more expensive as compared to the average costs given above. Apart from the types of Plywood mentioned above, here are some other types that you might be interested in knowing about. Typically, commercial and marine are the most common ones used. Block board has various layers of wood stuffed between two sheets of ply. Owing to how the ply is made, it is very durable. It is mainly used for sturdy and stable pieces like all wooden dining tables, as the main sheet for the beds, etc. They are available in thickness of 16, 19, 25 mm. One of the most interesting factors of this type of MDF is that it doesn’t actually have wood, but rather consists of wood pulp. It is manufactured by squeezing wood pulp between sheets of ply. Owing to this, it is less durable. Nails and screws don't stay put for long either. Hence, this type of ply is only suited for study tables, computer tables, light-weight cabinets, etc. It cannot hold much weight. A particle board has chips of wood that are pressed and glued together. This is the cheapest of the lot, but also the least durable. Again, it is not at all resistant to moisture and furniture made from this ply is prone to wood borers, if not maintained well. However, looking at all the facts, one should not consider this type of ply as entirely useless. Furniture which doesn't have to bear weight, can be made using this ply. This type of ply is also used in doors of cabinets and wardrobes. If used wisely with the other better plywoods, both MDF and particle board can help you get decent quality furniture at lower costs. We hope the above article was informative enough. A good interior designer is someone who can help you choose the right ply as well as the other materials, to ensure that you get good quality furniture, at a desirable price. Want to speak to one? Here's a very handy visual guide decoding all you need to know about plywood, their differences, how they are priced and more.... So have look, share and download for future reference! Newer PostHow To Pick The Right Flooring For Your Interiors? 5 Things To Keep In Mind!